Comments on this rifle run strongly pro and con. Admin is somewhat reluctant to present this rifle because it generally falls outside the definition of a long rifle, however it was made by a noted PA maker and therefor has some merit. Presentation of future rifles of this genera will be a judgement call. A very nice rifle, with an interesting history. It belongs in the Library, quite possibly under both Pennsylvania and California guns. The barrel stamp alone should send this gun to the museum. Nice to see an inscription that documents the maker, and the retailer who sold the rifle. This isn't one of Wirfflein's finest rifles, but a good gun nonetheless for "export" to California. This rifle is neither a California Rifle nor a Kentucky Rifle and is just another half stocked plains type gun. 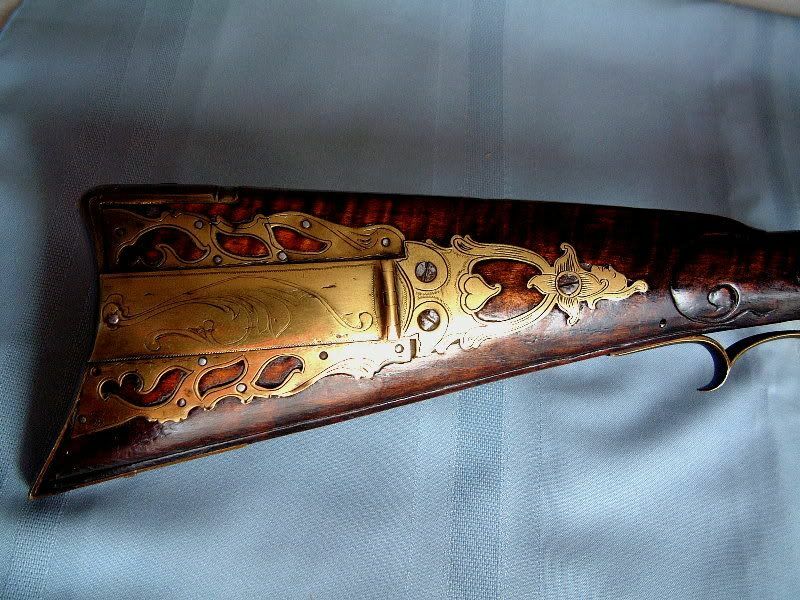 It does however represent a well known maker, albeit one who seemed to make this type of gun almost exclusively. If it is go to the Library it should probably go as an example of Wirfflein's work, or a plains rifle, and not on its merits as a Kentucky Rifle. I am indifferent to its inclusion, but would probably rather not see it in the Library if asked. I agree that is a great barrel inscription. Plus, I’ve also seen this rifle and like it! It’s a big heavy stoutly built thing, and would have been the perfect rifle for California back in that time period. 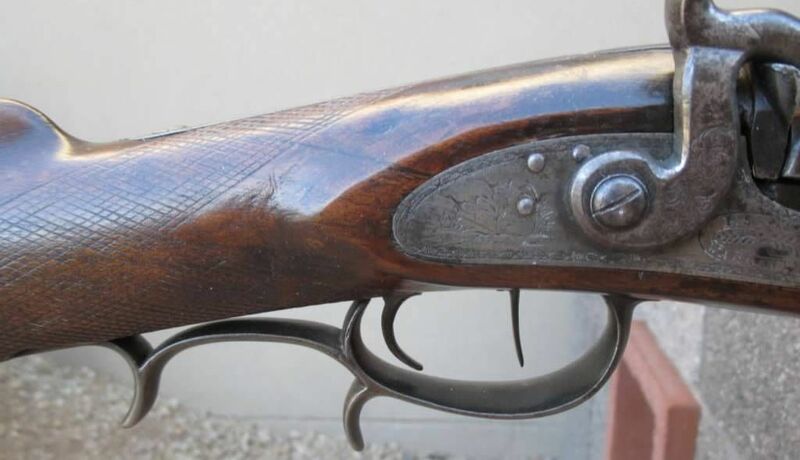 But, to me, it re-opens the unanswered question of whether or not an original half stock, percussion, non longrifle style gun should be accepted into the library? Personally, I think if we accept this one, then we have no excuse or reason to not accept any other generic nondescript half stock rifle made anyplace West of the Eastern seaboard. The inclusion of this rifle would certainly open the field to thousands of ‘new’ guns for the Library, but to what end?